It’s not uncommon in the least for mobile phone manufacturers, such as HTC, to create versions of devices specific to one carrier or another. Sometimes those devices are the same exact hardware in a case wearing a different color. Other times the smartphones made one specific carrier in the with some interesting features that other carriers probably wished they had. Japanese mobile carrier KDDI has announced that it has its own version of the HTC J One smartphone. The device uses a full metal body and promises high-quality stereo sound thanks to a built-in amplifier. The phone also has a new home screen using HTC BlinkFeed. 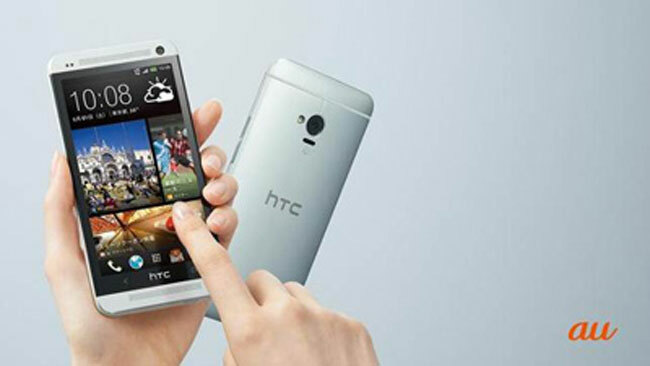 The smartphone also promises a very impressive camera using HTC UltraPixel technology. The smartphone camera has all sorts of features, but the sketchy Japanese to English translation makes it difficult to decipher. It appears that the camera is able to record what it sees when the camera is started from 1 to 4 seconds before the shutter button is pressed. The camera also allows users to erase unwanted objects and select the photo with the best features. One of the key features that some versions of the HTC One lacks in some areas is a memory card slot. The J One has a microSDXC card slot built-in that angles memory cards up to 64 GB capacity. The other details we know about the device are that it runs Android 4.1, uses a 4.7-inch Super LCD3 screen and weighs about 157 g. The battery inside his 2300 mAh and it has 32 GB of internal storage with 2 GB of RAM. The phone is integrated Wi-Fi, Bluetooth, and comes in white or black. Previous reports indicated that the J One is a redesigned version of the One S specifically for Japan.